January 19th was one frosty afternoon, but that didn’t stop over 150 visitors from climbing through the wardrobe into our magical version of Narnia! We had a great time making crafts and playing games inspired by CS Lewis’s classic fantasy novel, The Lion, The Witch, and the Wardrobe. To get to Narnia, you first have to enter the wardrobe! The wardrobe was quite a challenge, but thank goodness for Miss Teresa, who came in, worked her magic, and made it awesome! 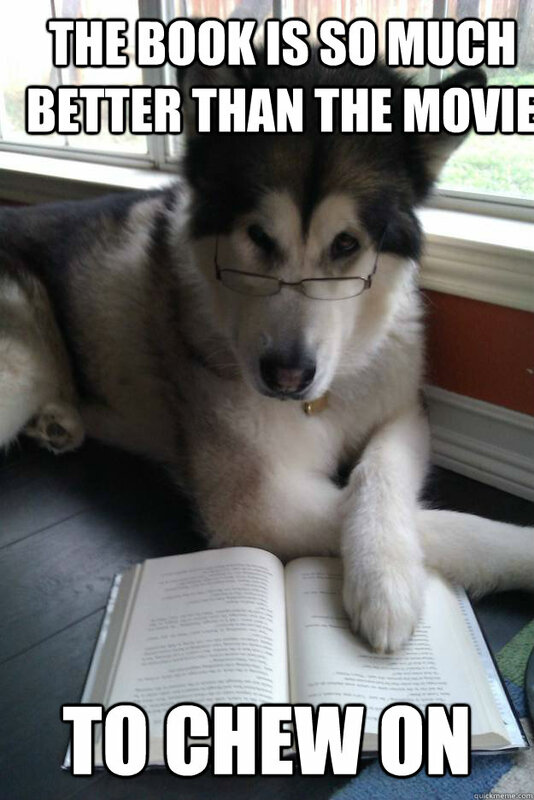 The Dog Ate My Book! Life happens. Just because it happens doesn’t mean you will be banned from the library. It doesn’t mean that you will be given the eyes-over-the-rim-of-the-glasses stare from now on when you walk in. We get it. In fact, even staff members have been in the same spot at one point or another and had to replace a book. If you ever are in this same predicament, let me give you the inside scoop of what to do and how this breaks down. If you don’t fall on that kind of luck and must replace a book, there are a couple fees you can expect. The first is called a processing fee. No, this isn’t something we made up, I promise. The barcodes, spine labels, and covers all have an expense. It also costs us per book we add to our collection, even if it is a title we have previously owned. Therefore we must collect a small fee to cover these expenses and this is the same for everyone whether a book is lost or damaged and needs replaced. The second fee is called a replacement fee. This one is based on the cost of the book. This fee gives you a bit more of a choice, however. You can either pay the dollar amount that we paid for the item to replace it and be totally done and on to checking out new things OR you may ask the staff member who purchases the type of book that was damaged if you may purchase the exact same item (the ISBN numbers must match, hardback for hardback, etc) as a replacement. The selector has the right to decline the book based on its condition or if it does not fit the exact copy we have in our system. ALWAYS ask the selector or a staff member BEFORE you purchase a replacement copy to ensure you have all the correct information. Certain titles may be out of print or have other circumstances that would make finding a new or like new replacement copy unlikely and we don’t want to have you make a purchase that we know ahead of time we cannot accept. All of that said, we try our very best to work with families who find themselves dealing with a damaged library book. If a new or like new copy is brought in we typically accept it as a replacement which then means that you only pay the processing fee. Oh, I almost forgot! One neat little side note: you get to keep the book that was damaged if you so choose since you technically purchased its replacement. To see our official policy on damaged and lost books, click here. No matter what happens to the items you have checked out, remember, we are here to help you however we can and get you back to enjoying everything the library has to offer! I know. You’ve opened this post thinking we are going to be telling you about some of our favorite books to give as gifts. While that post would be excellent for this time of year, there is another type of gifting that comes to mind for me. I’m sure if your house is anything like mine, you have more books than you know what to do with. And what do people love to give your kiddos for gifts? Books! They are a great gift that usually lasts longer than new clothes and keeps their interest longer than a new toy. At a certain point though, as kids transition from those early readers to picture books and from picture books right on in to chapter books, you will be faced with the job of going through those books to decide which beloved titles will make the cut and stay on the shelf and which ones will need to be rehomed. And this is where MY gifting comes into play. Did you know that you can give these books to the library? We can even give a receipt for tax purposes if you like. Donations are really helpful to us for different reasons. Often, people think if they give us a book, we put it on our shelves. Sometimes this is true, but I want to give you the inside scoop. We have a group of volunteers, The Friends of the Moline Public Library, and they actually receive all of our donations. Any books that are in good shape are given to the library staff who purchase books for the collection. If there is a need and they are in good condition we will gratefully add the books to our collection. However, if the book is slightly worn OR we already have copies in good condition, we send them back to our Friends to be sold in their book store. With the money they collect from selling these books they do a lot to help the library. They provide grants that pay for speakers and performers, they assist in providing prizes for our summer reading programs, and they also provide necessary funds for supplies used in programming throughout the year. Donations of books, magazines, cds and records, puzzles, and games are always appreciated! So this season as you are weeding out old books to make room for new, please consider giving the gift of your old books to the library. It is a gift that allows us to give back to the community throughout the whole year! Have you ever checked out the Launchpads section? Launchpads are a pretty popular item in the children’s department, but I realized I don’t know much about them! So I checked out one from each category, for ages 3-5, 5-7, 8-10, and 10+ and played a few games on each. But first, what are Launchpads? Launchpads are pre-loaded tablets with educational games, stories, and activities that are all age-appropriate for kids. And they’re fun, too! For those of you like me who haven’t used them before, you may be surprised at how much they have available on each one. Each Launchpad has 10 different apps and has a rubber protective case so you can rest easy using them with little ones. “S is for Spell” is aimed at 3 to 5 year olds, and the tablet is simple and intuitive enough that I think a child in that age range would have no trouble with it with adult supervision, especially if they have experience using tablets before. Launchpads are available on a variety of educational subjects, and as you can probably guess from the title “S is for Spell” focuses on language arts, with stories they can read along with and games to practice letters and phonics. My favorite was the Kids Memory Match game, which has 3 difficulty settings and has players match rhyming words – log and dog or box and fox, for example. “Little Picasso” is an art-themed Launchpad for ages 5 to 7 where kiddos will develop their artistic ability and creative thinking with drawing games like Wee Kids Draw & Color, which would be great for kids who can’t get enough of coloring sheets! It also features dress up games and a Halloween-themed spelling game which I particularly liked. “Let’s Have a Little Fun” is filled with fun puzzles and games for ages 8 to 10, like the arcade-style Rainbow Lines pictured here. As you can guess from the title, these games are more entertaining than educational. “Outthink!” was my favorite of the bunch I checked out! It had classic games like checkers and Yahtzee, as well as other fun critical thinking games. It is intended for ages 10+, and I enjoyed playing with it even as an adult. It’s sure to be a hit with older kids who love board games, and they can either play against the computer or match wits with a friend. It’s tricky for parents who are not gamers themselves to find video games that are appropriate for their child. But with Launchpads you can set your mind at ease, knowing that your kids are learning and having fun at the same time. Launchpads check out for 3 weeks and are perfect for car rides, rainy days, or vacations! You can find the Launchpads in the Children’s department behind the computers between the kits and easy readers. Please welcome our newest staff member, Jessica! She just started in time for the Harry Potter program in the Children’s Department. 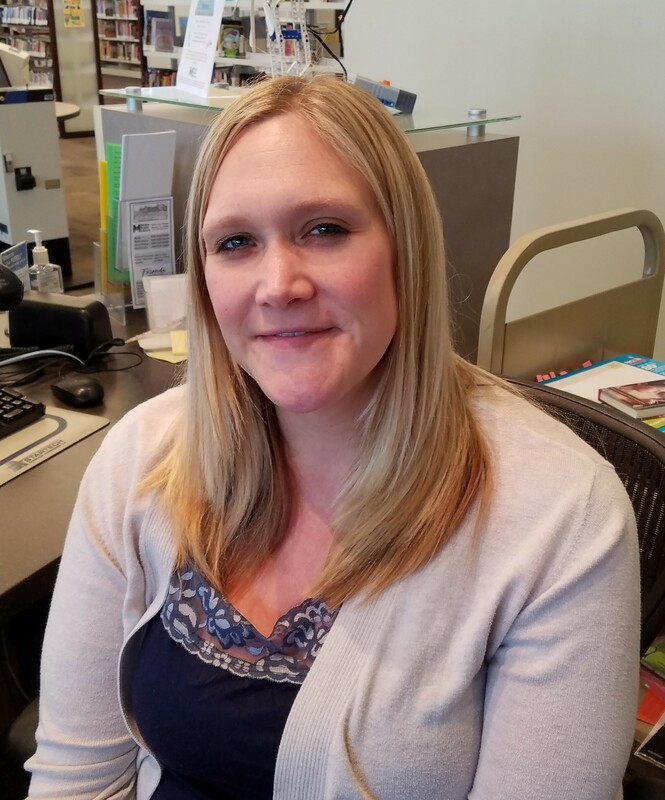 She previously has worked at the Rock Island Public Library, the Thomas Jefferson School in Milan and interned at the Rock Island School for Math and Science as well as at the Moline Public Library. She is in the process of getting her Master’s degree in Library Science through the University of Wisconsin-Madison with an emphasis on youth services. Jessica loves to ready fantasy (Harry Potter is one of her favorites!) and enjoys video-games. A Quad Cities native, her family includes her two fur babies, Tigger and Salem. We are very excited to having Jessica back on board with us. Be on the lookout for her upcoming blog posts and programs! I’ve received many compliments on the decor I used for the Amazon area of our library for summer reading this year. I used three main pieces. The spiral vines I found here. I used the first spiral shown. I reversed the image, to make it easier for a right hander to cut out, and changed the color from black to green for printing the green spirals on two shades of green paper and from black to brown for the brown spirals on light brown paper. For the display I used a glue stick to put 2 dark green, one light green and one light brown spiral together, then I attached them to the shelves using tape. The leaves I found here. I printed this free download on light green printer paper and cut out more than a hundred to decorate the spiral vines. I used tape to attach the leaves to the vines and the shelves. I also purchased plastic 3D butterflies from Amazon here. I hid the butterflies among the vines and used a few on the pillars. There were many hours spent cutting out the pieces, but I (and my co-workers) were able to cut many of the pieces during the small bits of down time at the desk. Looking forward to summer reading next year.